level indicator circuit that is able to indicate the required level of water at a distance of upto 100 meters. The circuit has two sections which are a transmitter and a receiver. The two points marked probes are used as sensors, when water touches these probes the 555 IC become activated and start producing pulses, these pulses are fed to the transmitter to transmit them in the atmosphere. These signals are then received by the receiver and available at its data pin. A 2N3904 transistor is used to drive the peizo buzzer. 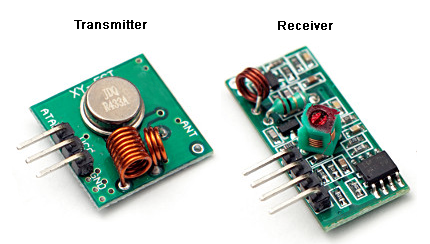 The circuit is using a readymade RF module that can be easily found from your local electronic store. The max distance is achieved in the open area is 100 meters but it will be reduced to half in the area covered by walls and buildings. Water shortage or water stress is a common problem nowadays and one major reason behind this problem is wastage of water, but we can easily overcome this problem with the help of smart water level indicators and controllers.